The Eastern hellbender is the largest salamander in North America, reaching lengths of up to 24 inches. It's also the official amphibian of Pennsylvania. 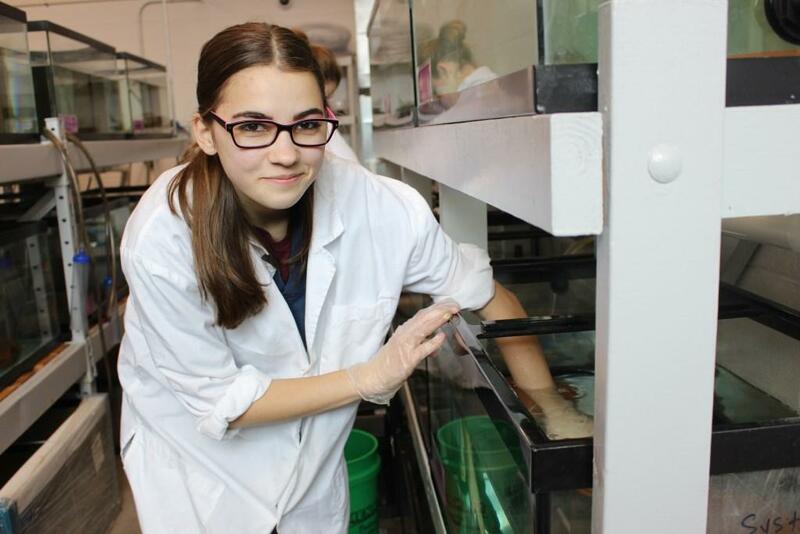 High school students in Nicole Costello’s small reptiles class at the Penta Career Center in Toledo, Ohio are learning firsthand how to foster an aquatic species that experts say is in decline: the eastern hellbender salamander. 18-year-old Theresa Paff cares for eastern hellbender salamanders at the Penta Career Center in Toledo, Ohio. These are not the colorful little salamanders you might be imagining. They’re flat, brown and mottled with wrinkly sides and beady eyes. Their good looks have earned them nicknames like snot otters, Allegheny alligators and old lasagna sides. “Some people would say they’re so ugly they’re cute,” says Greg Lipps, an expert on hellbenders at Ohio State University who works with the high school program. “Everything about them is made to live underneath a big rock in tight spots and darkness,” Lipps says. 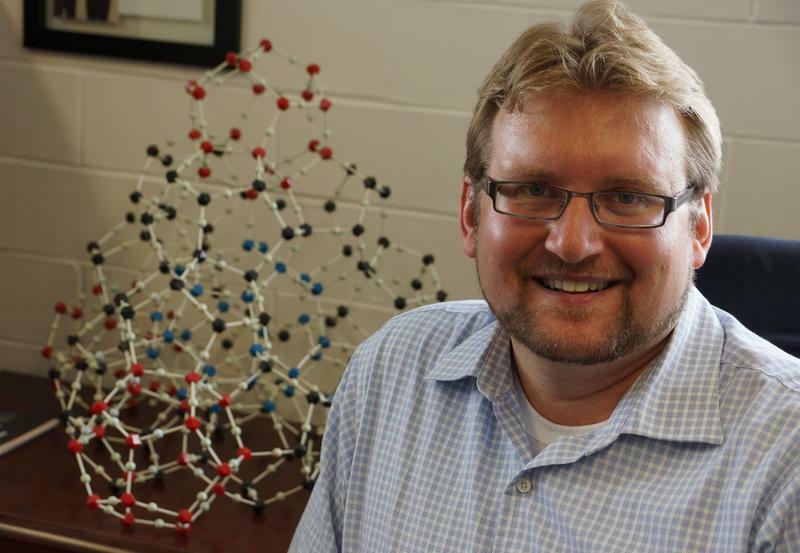 Researchers suspect the problem has to do with increased sediment in the water. Young hellbenders are thought to live in little spaces in gravel beds, that are easily filled with sediment. 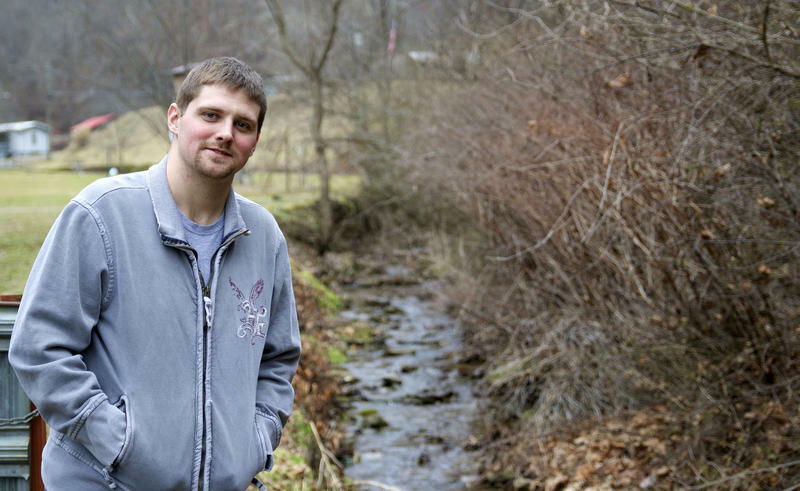 Lipps has watched as waterways, especially in the steep hills of eastern Ohio, near the Pennsylvania and West Virginia borders, have gotten muddier in recent years. The reason seems obvious to him: pipelines. Companies replant the pipeline corridors. Ted Auch of Fractracker says that doesn't always happen. To get a better picture of the gas pipeline boom here, Ted Auch of Fractracker organized a tour by plane of West Virginia and Ohio. Fracktracker is a non-profit that tracks the fracking industry. Looking from the air, Auch is floored by how many hillsides are cleared of trees, to make way for pipelines. 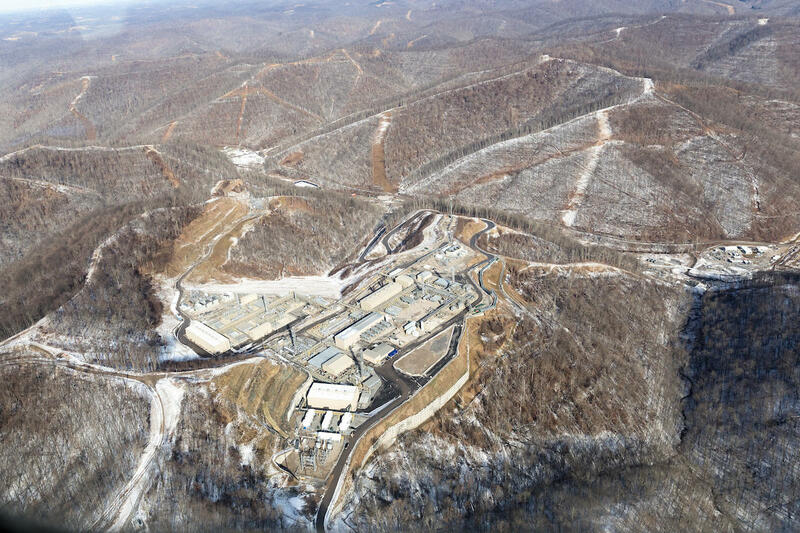 You can see gathering lines zigging and zagging, connecting every well pad and compressor station. Ohio and Pennsylvania are among the states with the most gathering lines in the country. Each state has more than 20,000 miles of them. 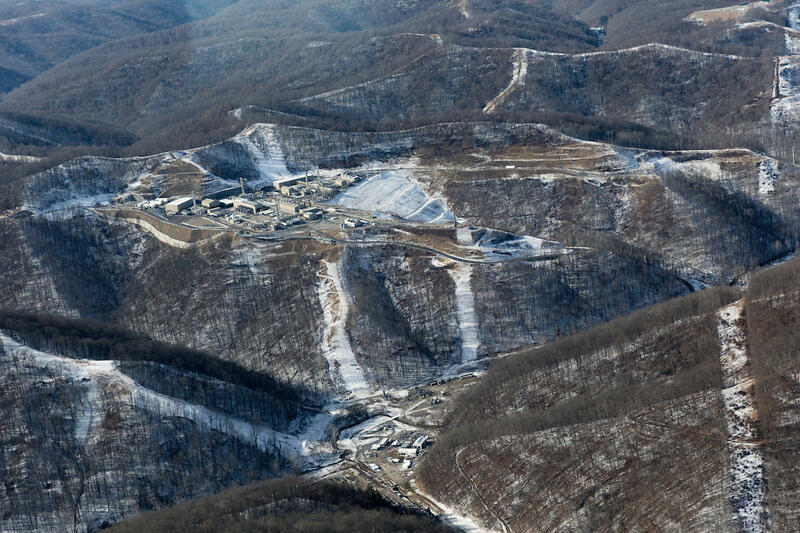 On the ground in eastern Ohio, the hills are alive with pipeline construction. To the north, are the bigger transmission lines – the Mariner East and the Rover. Smaller gathering lines have names like the Hot Sauce Hustle, and Dr. Awkward. 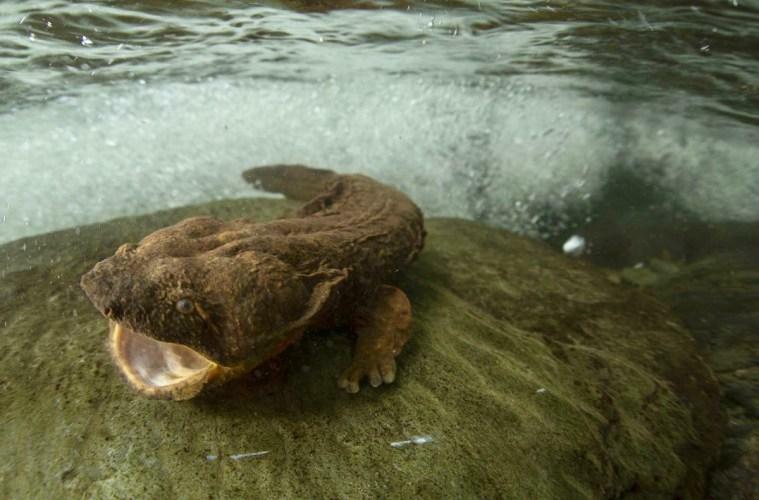 Ohio State researcher Greg Lipps says when companies strip these steep hillsides of forest for pipelines, it can destroy his team’s efforts to restore streambanks, and protect the habitat for eastern hellbenders and other aquatic species. “What you create is effectively what can be a river of mud every time it rains. It’s really a problem. And the amount of silt and sediment that can come from a pipeline cut and from an eroding stream bank is immense,” he says. Many new pipelines also cross the streams themselves. One example of where this has been happening is Captina Creek, a high-quality stream and home to hellbenders. It empties into the Ohio River. Pipeline companies either bore underneath the stream bed or dig right through the water. According to an Allegheny Front review of applications to the Ohio Environmental Protection Agency, the state has issued at least 13 permits, including 66 pipeline stream crossings in the Captina Creek watershed alone since 2014. Harry Kallipolitis manages the Ohio EPA’s permitting process. His agency, as required by the Clean Water Act, certifies that pipeline crossings are not going to jeopardize the stream quality. There’s no regulation looking at the cumulative impacts of the new lines. But Kallipolitis says the EPA has not seen impacts on any streams from multiple pipeline crossings. “We evaluate a lot of streams in Ohio, and to my knowledge we haven’t had any of those reports come back to us and say that the stream is jeopardized by multiple crossings associated with pipeline projects,” he says. ***This story comes to us from the Allegheny Front, which reports on the environment in Pennsylvania.